The progress that has recently been made in removing those barriers, focusing mostly on changes made to the Criminal Code and the Canada Evidence Act in 2005, and on the Supreme Court of Canada (SCC)’s decision in the case of R v DAI last year (2012). Future areas for improvement and change in the trial process. If you have any feedback on these recent changes, or any ideas about other changes that should take place to make legal and courtroom processes more accessible for everyone, or any comments at all, please contribute to the discussion! An American study found that approximately 68-83% of women with [an intellectual disability] will be sexually assaulted during their lifetime, while the rate for women without a disability is about 18% (Wacker, 2008). In Canada, women who had some kind of disability were about 1.5 times more likely to have been sexually abused as children than women who did not have a disability (Sobsey & Doe, 1991). Rules of evidence that often prevent an individual with an intellectual disability from testifying because the judge rules that they are not competent or are not able to provide testimony that is accurate and reliable. If a witness with a disability can communicate what happened, but may have trouble doing so in a courtroom setting with the accused and his or her lawyer present, that witness can describe the crime in a video recording (as long as they do this soon after the alleged crime), and the judge will allow the video to be used as evidence (Criminal Code s. 715.2). A judge can allow the witness to testify outside the courtroom or behind a screen or device that prevents the witness from seeing the accused if this is the only way the witness will be comfortable telling their story(Criminal Code s.468.2). The judge can also prevent the accused from cross-examining the witness if this is necessary so that the witness can give a full and candid account of the crime. A witness must understand what it means to take an oath if they are going to provide testimony sworn under oath. Under the new rules, if a child witness is not able to understand what it means to take an oath, the judge show still allow them to testify as long as they are able to communicate and they promise to tell the truth (Canada Evidence Act s. 16(1)). Children should not be asked to explain what it means to promise to tell the truth. Until 2012, the courts did not interpret the section of the Evidence Act for adults with a disability in the same way as they interpreted s.16 (1) – the section on children’s testimony described in the last bullet point above. The usual practice was to say that an adult with a disability could not testify if they could not explain to a judge what it means to take an oath, or what a promise to tell the truth means. The SCC changed this in its judgment in R v DAI last year. After this decision, if an adult with an intellectual disability wants to provide testimony, they need to be able to communicate their evidence and promise to tell the truth, nothing more. The judge can ask them questions related to their own life to determine if they are able to tell the difference between the truth and a lie, but cannot make them explain what a promise means. This an important step towards equality, because normally adults who take the oath are not forced to explain to a judge what it means. Just because a person with an intellectual disability may have difficulty explaining something abstract such as what it means to promise the truth, this does not mean that they will be any less truthful on the witness stand. Research suggests that individuals with intellectual disabilities can remember events they have experienced and relate their stories accurately to the jury, and they are no less likely to tell the truth than any other witness (Willner, 2011; Wacker, 2008). People that the witness has a personal relationship with should be present. They can explain how well the witness is able to communicate, and help the witness understand the process and make themselves heard. The witness should be allowed to appear before the judge and make their case for being able to testify. The judge should observe the witness directly, and not base their decision on the opinions of expert witnesses who have evaluated the witness alone. 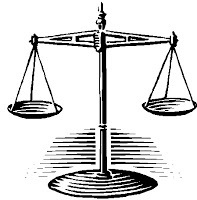 The judge should not decide whether the witness is capable of testifying based only on a label or test result. Judges, lawyers, and anyone else involved in the hearing should ask questions “patiently, and in a clear, simple, manner”. 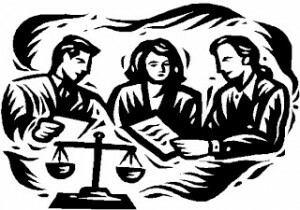 Judges or juries have a tendency to give less weight to the testimony of witnesses with intellectual disabilities compared to witnesses who do not have a disability. This is especially true if the witness promises to tell the truth rather than testifying under oath (because they are not able to explain what an oath means in abstract terms). The cross-examination process is designed to poke holes in the witness’ story, and is not well-suited to individuals with an intellectual disability. Court proceedings are long and formal, and individuals with an intellectual disability (or most individuals, for that matter!) may find it difficult to focus for that long, or to understand what they are expected to do. All in all, our justice system is making great progress in accommodating persons with disabilities, but more needs to be done before equal protection of the law for all citizens becomes a reality. How do you think we’re doing with making court proceedings (whether they are criminal or not) more accessible? Do you see any areas that still need work, or have any recommendations for future change? If so, or if you have any questions at all, please leave us a comment! I would love to hear from your ideas and am happy to respond to any questions or send more information if you are interested. If you aren’t able to leave your comment right away, I can be reached by email at mwiggins@nbacl.nb.ca or marci.wiggins@unb.ca.